Chevalier Floatels is a highly experienced operator of walk-to-work vessels and accommodation barges. It owns two offshore support vessels with permanently installed Ampelmann Heave Compensated Gangways. Chevalier Floatels is a highly experienced operator of walk-to-work vessels and accommodation barges. It owns two offshore support vessels with permanently installed Ampelmann Heave Compensated Gangways. It has completed over 30 walk-to-work projects in offshore wind and oil and gas. It offers reasonably priced year round platform access. Chevalier Floatels also owns four berth connected accommodation barges. They can offer complete accommodation facilities in even the most remote areas. 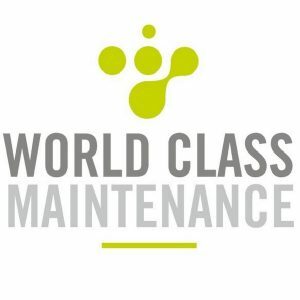 The company focusses on safety, client satisfaction and cost efficiency. The two Chevalier owned Floatels, DP Gezina and DP Galyna, both feature an Ampelmann Gangway, heave compensated crane and crew boat landing. The gangway makes platform access as easy as crossing the street. Because of the low air draft, the vessels can even work under working turbines. The vessels have 55 beds for client accommodation in 38 cabins with TV’s, all connected to a bathroom, and have Wi-Fi throughout the vessel. There are two larges offices with seven desks. These vessels are efficient work horses with the ambiance of a modern hotel. As environmental responsibility is important, the vessels are designed for extremely low CO2 emissions and feature a very low fuel consumption of about three cubic metres per day, making the vessels the most cost efficient walk to work vessels in the market. The vessels have four azimuth thrusters including a recently fitted retractable bow thruster. In combination with new Ampelmann Enhanced Performance Software, they have now proven to be fully operational all year round. The aft deck has been covered with an additional deck allowing for a covered container storage while at same time creating a work deck above. The hotel barges of Chevalier are all designed with guest comfort in mind. They feature galley, restaurant, café, recreation areas, laundry and offices. The Rossini features its own water makers and sewage treatment system and can be employed in the most inhospitable areas of the world. Kalmar is the largest vessel of the fleet, with 221 cabins. The most luxurious barge in the fleet is the Sans Vitesse with 101 cabins fitted out to the standard of a modern business hotel. This barge has been used frequently for project management or client representatives team accommodation. 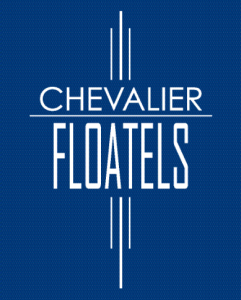 Chevalier Floatels has grown quite rapidly anticipating trends required by clients. Building on customer satisfaction and applying lessons learned enables the company to be a leader in this market.